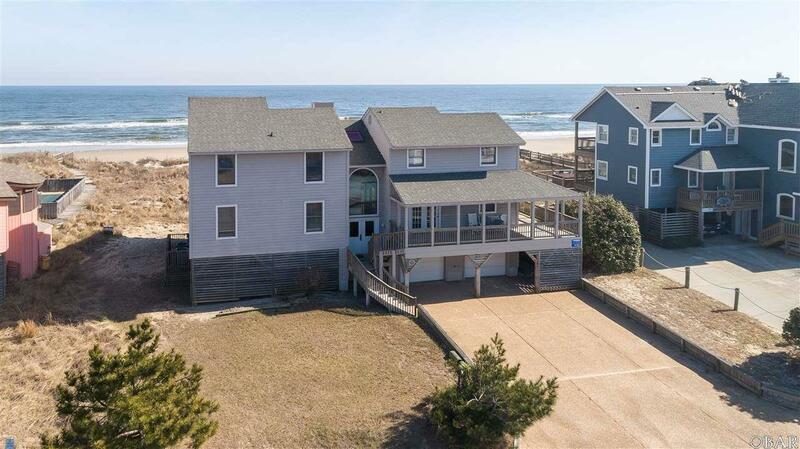 Custom-built, well-maintained, and beautifully appointed, this classic old Nags Head style home boasts stunning ocean views. 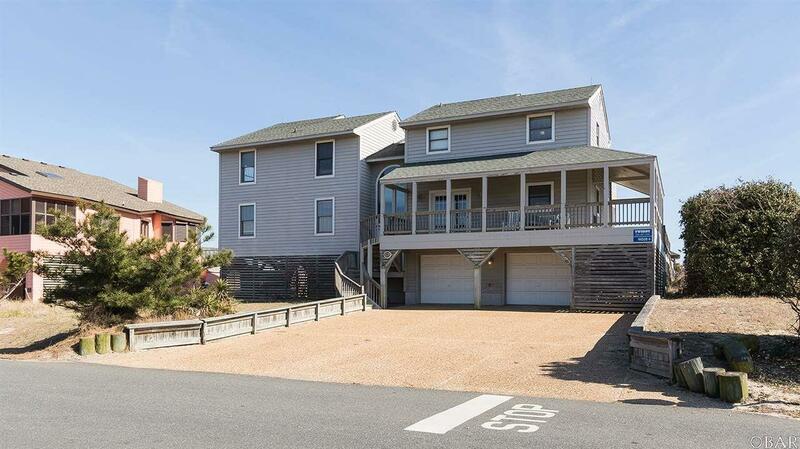 On the ground level, an entry tiled foyer, full bath, 2 car garage, fenced private pool, hot tub, and private walkway to dune top gazebo & beach access. 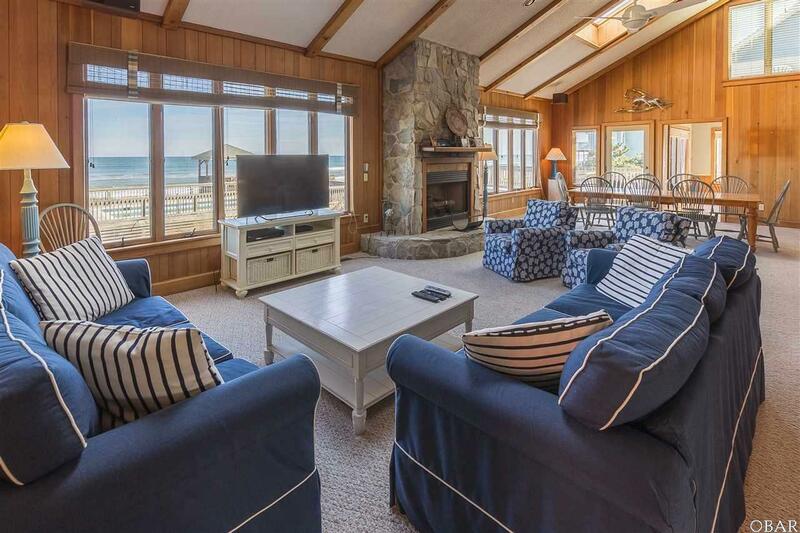 On the middle level, the greatroom w/ gas stone fireplace & cathedral ceiling, sky lights, wet bar, newly renovated gourmet kitchen w/ quartz counters & stainless steel appliances, dining area, game room w/pool table, a half bath, the first of two master bedrooms, and a bedroom. The upper level offers another master bedroom, with private deck, two more bedrooms, a full hall bath, and an open den/study. In addition to kitchen, recent updates include updated bathroom, new living room furniture, new deck, and new HVAC unit. 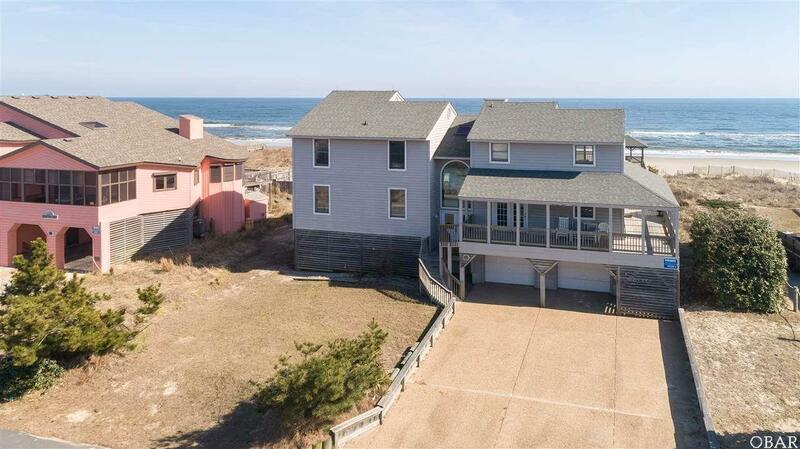 Close to the 4x4 beaches, shops, restaurants, and Historic Corolla Village, this home is the epitome of coastal living.